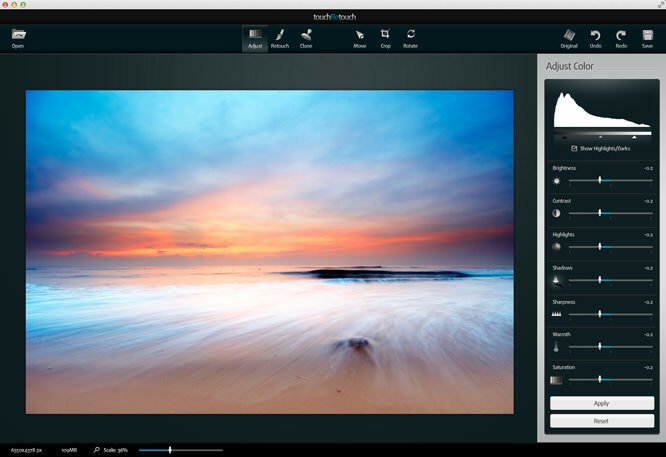 ADVA Soft has launched TouchRetouch for Mac after the success of its mobile app. Following the success of its photo editing mobile app, TouchRetouch, ADVA Soft is launching TouchRetouch for Mac. To ensure a professional finish, users can complete retouching with the Clone Stamp tool, the first additional tool specifically for Mac users. To remove any small distortions, users can clone a similar area of the image and replace the problematic area for a seamless finish. The Crop tool, also a new addition for Mac users, allows you to manipulate the composition to a selection of pre-set image sizes or to customise it simply by dragging the frame. Complete with a full set of colour correction tools, users can edit the brightness, contrast, warmth, saturation, sharpness and shadows to add that extra flourish using the adjust tool. TouchRetouch for Mac supports multiple image formats including JPEG, PNG and RAW is now available to download for £6.99 ($9.99) from the Mac Store or the ADVA Soft website.